Dreaming Large with Superstar in 2007. Large Swarovski encrusted Metal stopper in the shape of star. Edition of very few bottles? Retail Price $ 2,500+? US dollars. 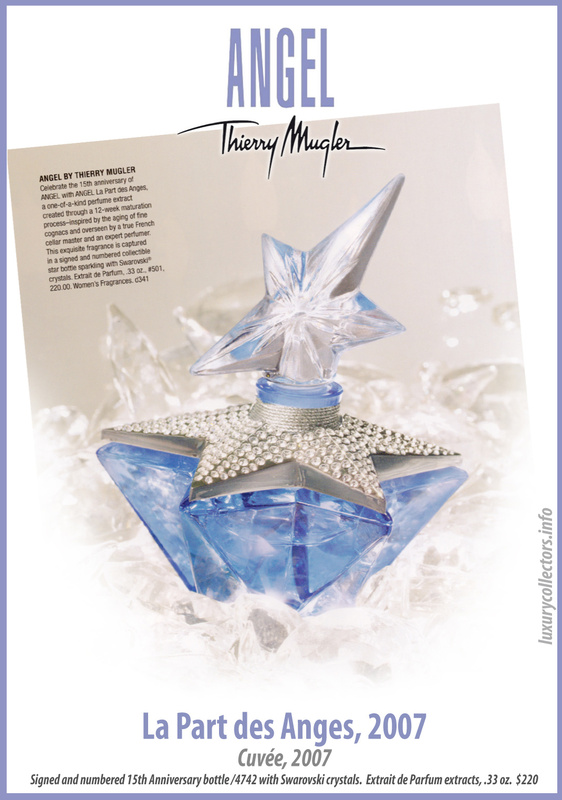 Part three of a series of bottles celebrating the 15 years of the launch of Thierry Mugler’s Angel, Dream of Superstar is made for the ultimate collector. This is the first time that Mugler releases a bottle so large, its between 400ml – 450ml, that it looks like a giant next to the largest edition of these limited edition star bottles, which had the record at 75ml. The price surge on these bottles also went up to about $2,500 for this similar size and without crystals, so this Swarovski encrusted masterpiece would definitely have been priced above $2,500. I have no information on the production size of this edition, but it must have been pretty small. Since this year they celebrated the 15th anniversary of the release of Angel, they created more than one limited edition, as they had done so before in 2002 when they celebrated the 10th year of Angel. In 2002 they also released three differrent limited edition bottles. This was also the first time they created a bottle of this size, more of a Factice size bottle used for display purposes only, but this one has 450ml of perfume! 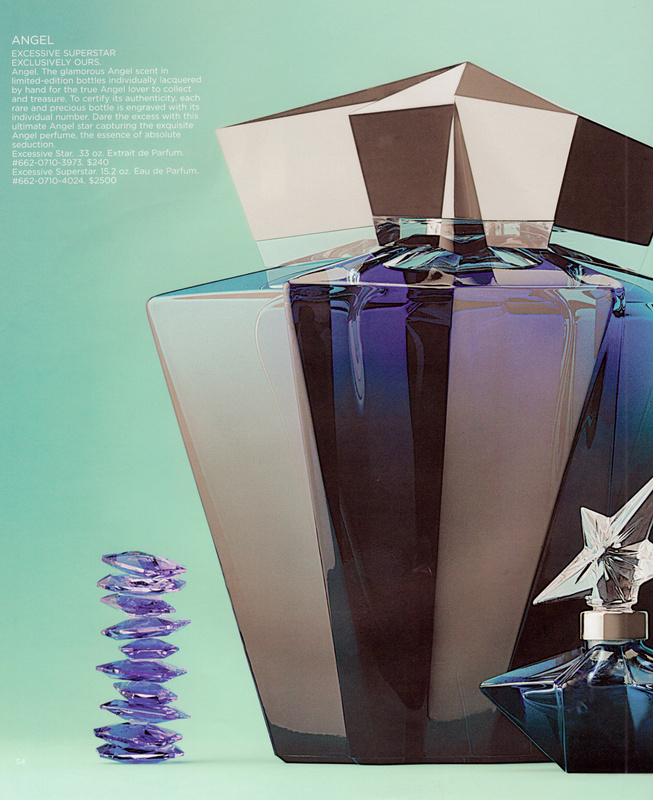 Photos of Thierry Mugler’s Dream of Superstar Perfume Bottle. Only photo I have seen of this bottle, Marie Claire magazine online. 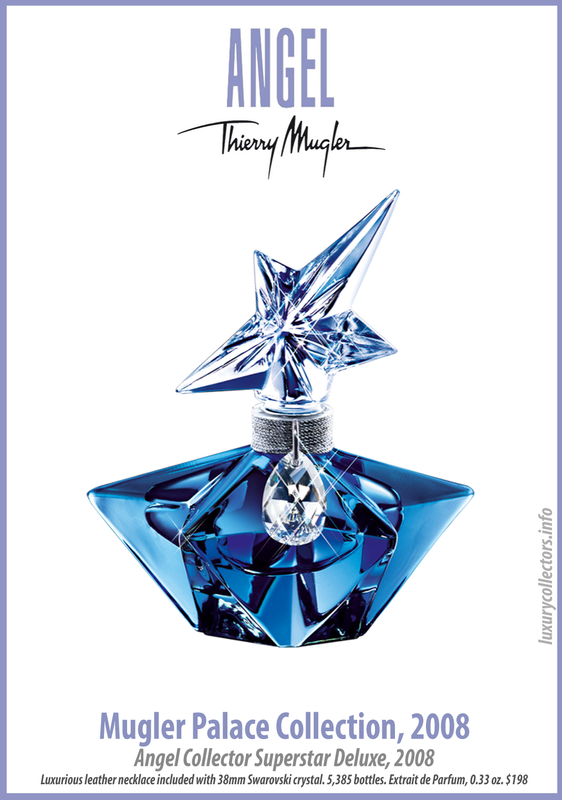 Advertisements of Thierry Mugler’s Dream of Superstar Perfume Bottle. 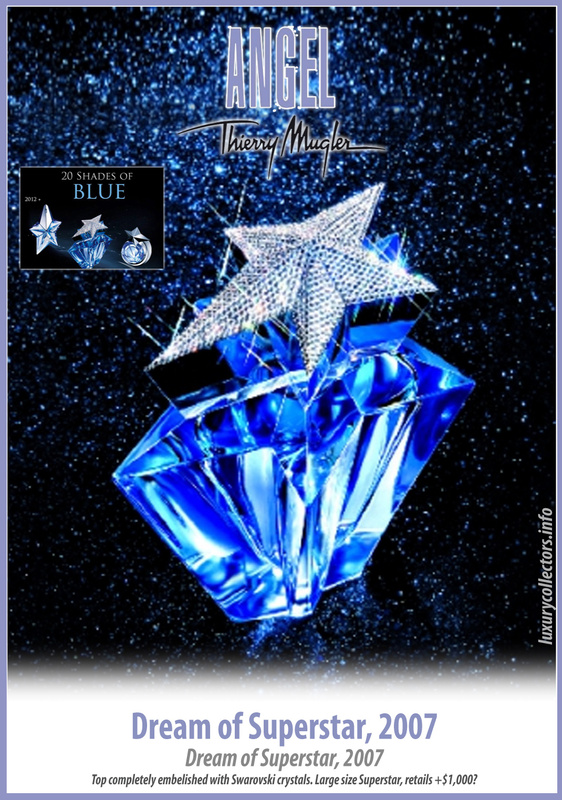 The only ad where I have seen this bottle is this “20 Shades of Blue” from 2012, celebrating 20 years of Thierry Mugler’s Angel Perfume of 1992.
regular classic bottle at the bottom. These ads, some with prices, show that the Superstar Excessive Star bottle of 2013 sized up to 15.2 fl oz. = 450ml. 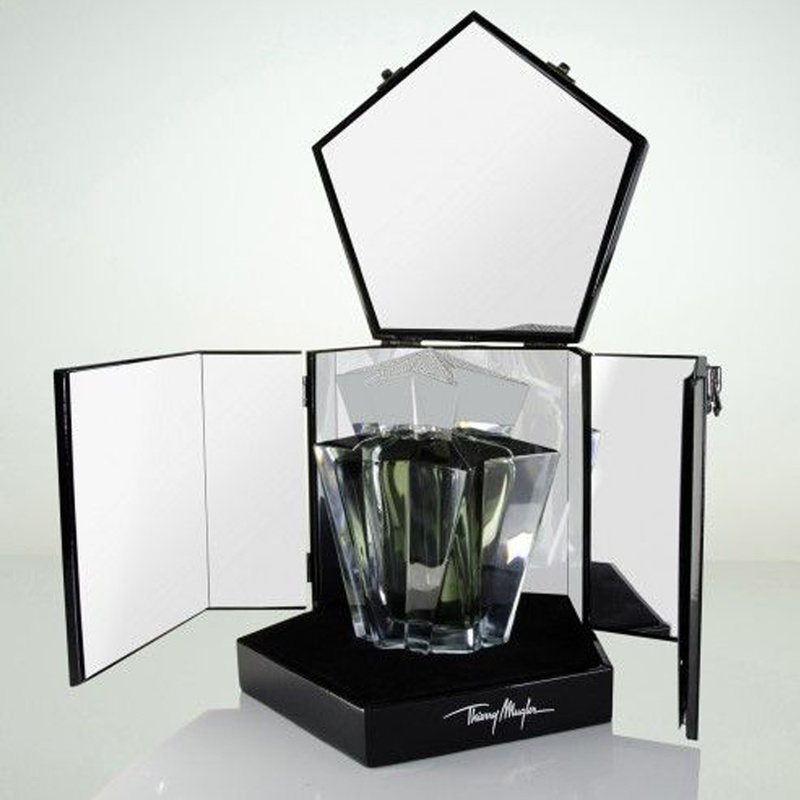 You can compare it in size to a regular perfume bottle and you can also see that this retailed for $2,500! Even if this is 6 years after the release of the Dream of Superstar bottle, the fact that this bottle is $2,500 without any Swarovski crystal embelishments, puts the 2007 bottle in the range of $2,500 or more. Scan from a 2013? Neiman Marcus catalog showcasing the price and size of a Superstar bottle. An advertisement from 2008 that showcases the size of these Superstar bottles. 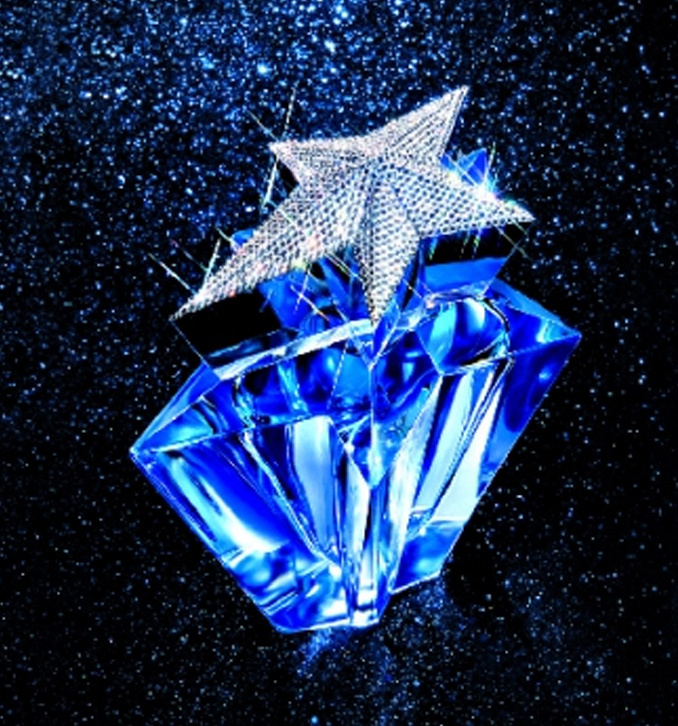 Photos of Thierry Mugler’s Dream of Superstar Box Presentation. Extremely Deluxe, looks like a wooden case lined with mirror panels on all sides with two latches on top to release the panels.